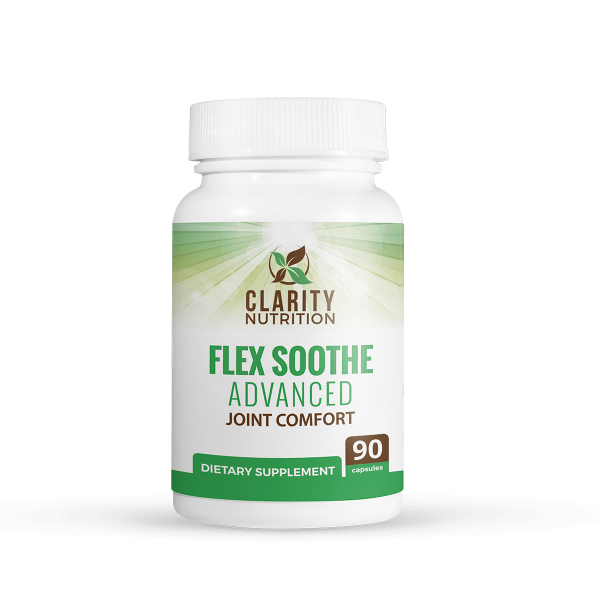 Clarity Nutritions Flex Soothe is a dynamic mix of Glucosamine, Chondroitin, and other quality ingredients. 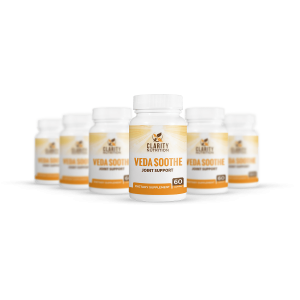 These ingredients may help promote joint comfort , supports joint function , and increase flexibility . 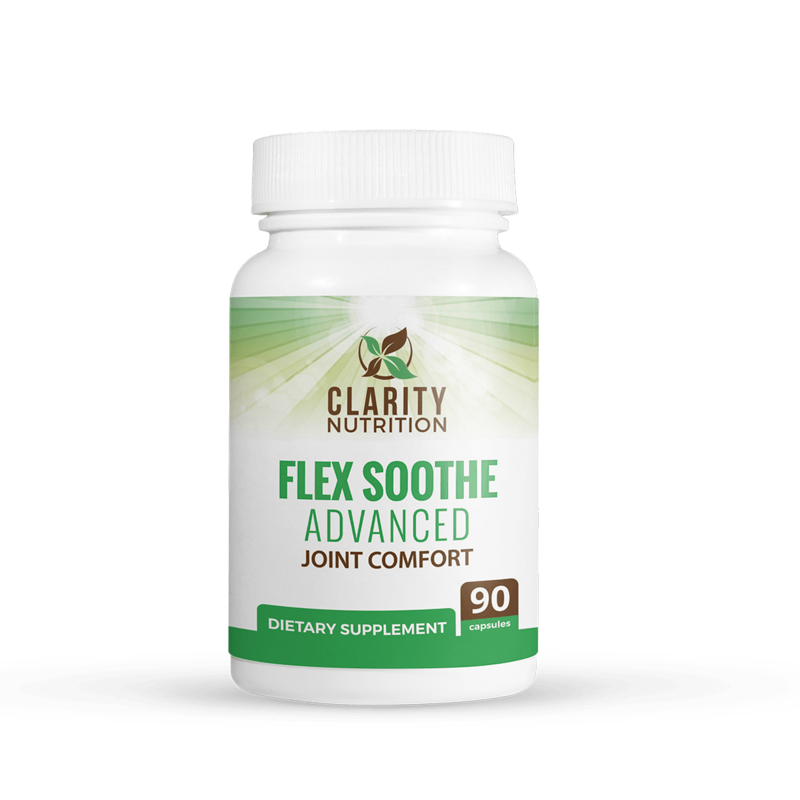 A bottle of Clarity Nutrition’s Flex Soothe contains a one month supply of the supplement (90 pills total). 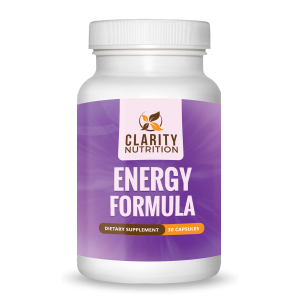 As with all our products, each bottle of Clarity Nutrition Flex Soothe comes with a 60 day money back guarantee. Liu, Wei, et al. “Kashin-Beck Disease in Sichuan, China.” Journal of Clinical Rheumatology, vol. 18, no. 1, 2012, pp. 8–14., doi:10.1097/rhu.0b013e31823e3a3b. Zhang, Ling‐Ling, et al. 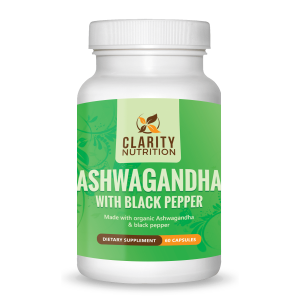 “A Randomized, Double‐Blind, Multicenter, Controlled Clinical Trial of Chicken Type II Collagen in Patients with Rheumatoid Arthritis.” Arthritis & Rheumatism, vol. 59, no. 7, 2008, pp. 905–910., doi:10.1002/art.23824.